MZNOW is a weekly pop culture radio show hosted by comedian, Michael Zavala, Eric Star, Sara Alban, and Del Pullen. Each week, the show strives to bring you fresh comedy, misguided insight, uneducated opinions, and the occasional celebrity guest. 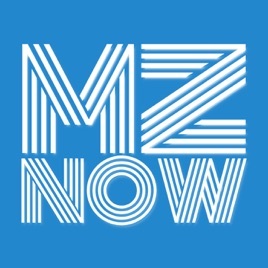 Get the full show archive by downloading our MZNOW mobile app. I don't know where they found that Eric Star guy but he is great radio!! Finally, a show that is diverse without an agenda of being "diverse." I really feel like these people are my friends, if my friends were actual comedians. Overall, 🌶🔥🔥🔥🔥🔥!! I feel like they have good things to talk about, however, I feel as if they lose their steam about half way through the episodes. As if not everyone is very committed to making the show.